Trim your holiday party in lush elegance with our Latex Forest Green Balloons. An excellent choice for a Christmas party, fall wedding, or graduation party, these latex balloons offer plenty of versatility for decorating a large celebration. Arrange them with foil balloons, a balloon weight, and curling ribbon into eye-catching table centerpieces, or combine them with tissue paper decorations in coordinating colors to create festive balloon chandeliers. For an even more striking display, use these latex balloons to build a balloon arch or balloon column, or float them to the ceiling with tails of curling ribbon for a dazzling effect. 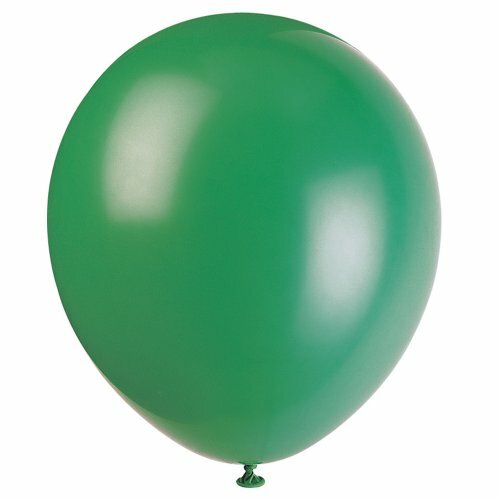 Mohon maaf, produk 12" Latex Forest Green Balloons, 72ct sementara ini sedang habis.